I have wanted to do a photo session at the Salt Flats for years and years and finally got to make that dream come true. 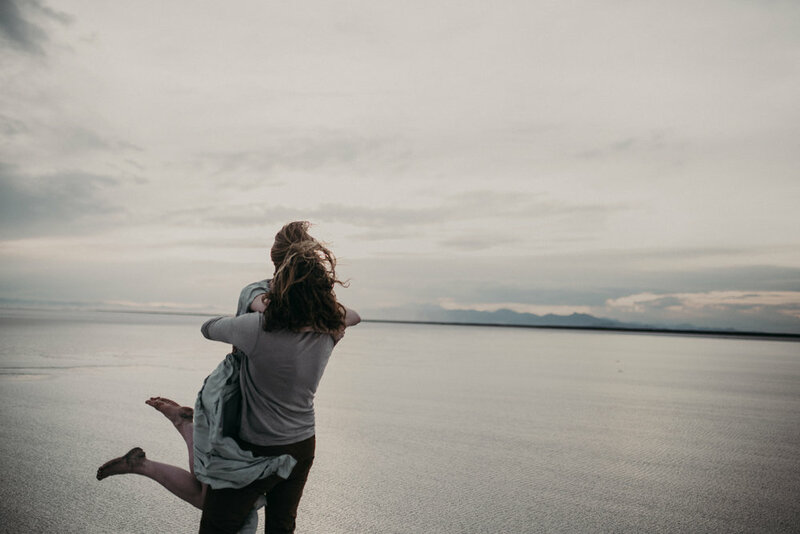 The textures of the salt and the water combined with the wide open landscape was so magical for modern engagement photos. This would be an awesome place for family photos as well. Bri and Levi were so fun and adventurous and ran around barefoot in the salty water while I chased them around with my camera. Sounds pretty amazing, and it totally was, but my poor wimpy feet took a few days to recover from running around on thousands of salt crystals. 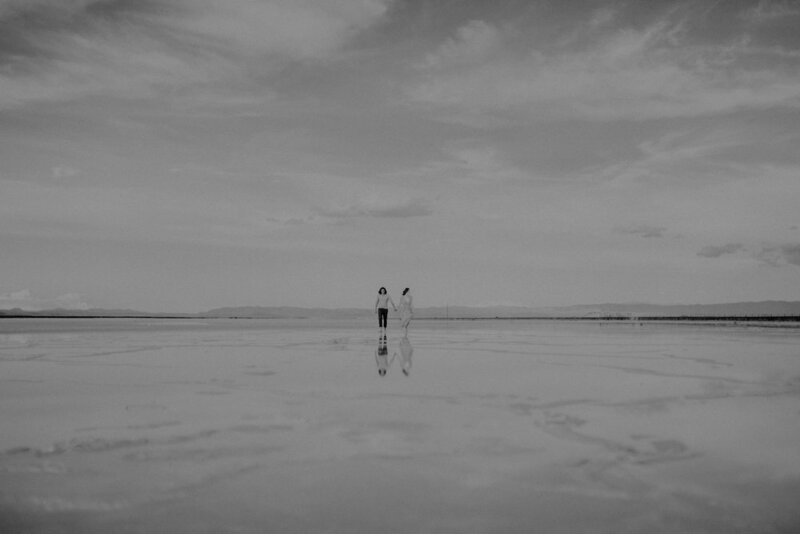 But it was SO worth it and I hope to have many more adventures doing engagement photo sessions at the Salt Flats with other couples and families. Being a photographer is such an awesome job! 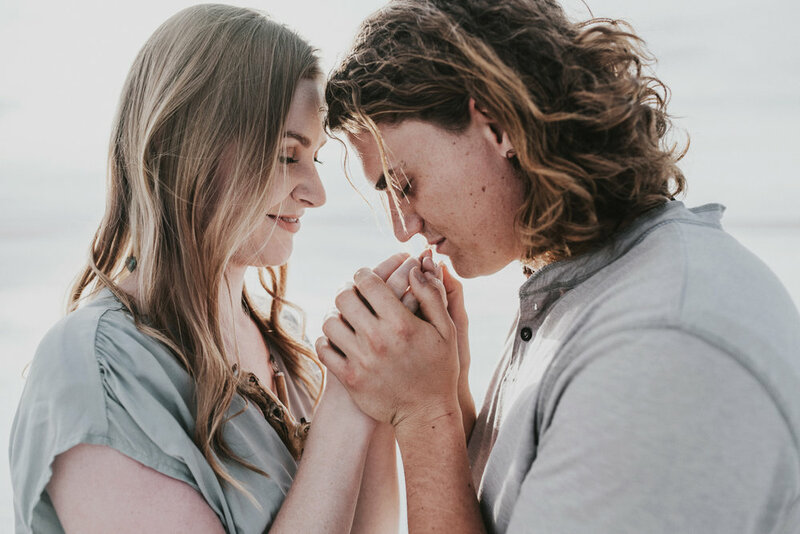 And laid-back, free-spirited engagement photography is my JAM. Click HERE to read more details about the Salt Flats.